We want to introduce to you CDH International’s Wisconsin Ambassador, Janel Litzner. Janel is mom to cherub Elijah. Janel is a stay-at-home mom with a (soon to be) 10 year old Cherub. 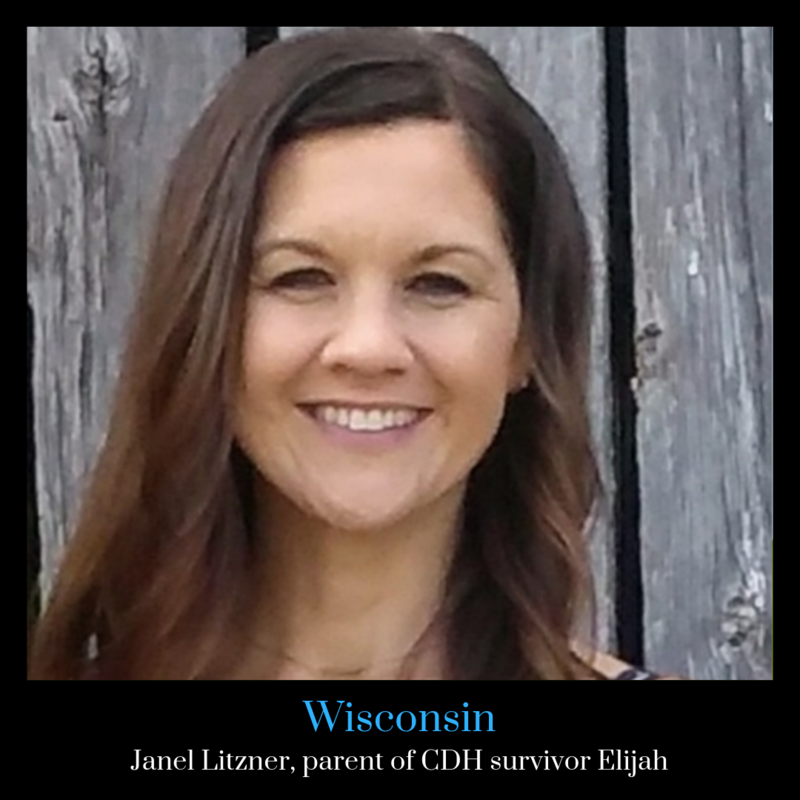 Her journey through CDH has invoked a passion to help others going through life’s hardest moments. She spends her time helping ladies through the Women’s Ministry, as well as developing a Special Needs Program, at her church. In her free time she loves looking for “treasures” at thrift stores and up-cycling her finds, as well as spending time with her family.